Don’t be fooled by its compact look. Bruvelo not a travel mug, but an all-in-one smart coffee maker that provides you an ultra simple way to brew a cup of perfect coffee. Sounds cool? Let’s keep going. The Bruvelo is a fully-featured and ultra compact coffee machine that measures 92 x 115 x 267mm. 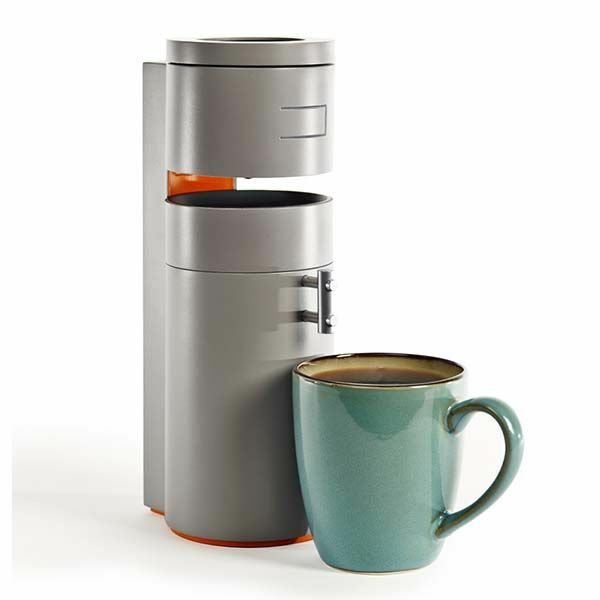 As we can see from the images, the coffee maker shows off a minimal and understated design, and its ultra portable cylindrical body allows you to easily deploy the coffee maker anywhere in your house. 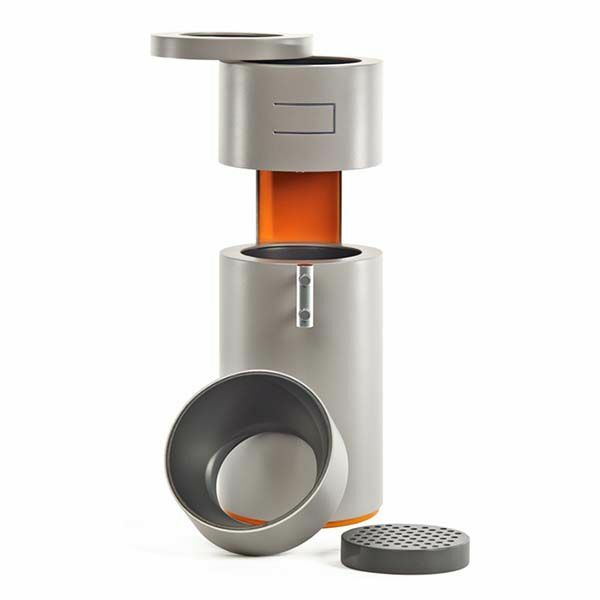 Don’t despise its compact design, as an all-in-one coffee maker, Bruvelo features a built-in ceramic grinder with 2 simple settings based on the coffee filter you use: metal or paper, and its perfectly sized bean hopper can hold just right amount of beans for one cup without needing to weight beans, meanwhile, built-sensor senses how much water is being added so you don’t worry about pouring too much water. Furthermore, the Bruvelo is capable to maintain a consistent 199 degrees Fahrenheit throughout the whole brew process, which brings you a cup of perfect coffee. 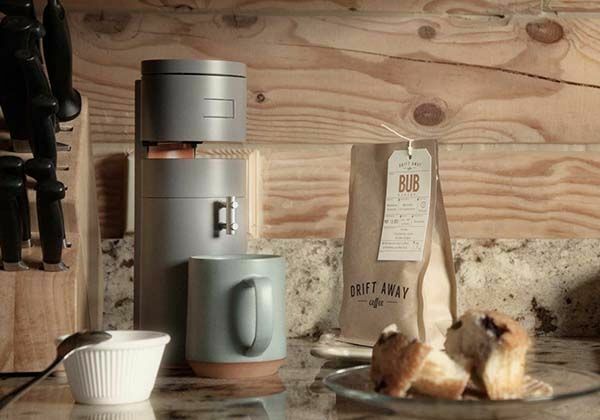 As a smart coffee maker, the Bruvelo features built-in Bluetooth technology that allows it to wirelessly connect with your smartphone. Using its custom app, you can schedule to brew your coffee automatically when your alarm goes off, or simply click ‘Brew’ button in the app for remote control. The Bruvelo has been available for preorder on Kickstarter. You can pledge $299 to preorder the smart coffee maker. It will be shipped in October 2016. BTW, also don’t miss the Mr. Coffee smart coffee machine and more cool stuff by following tags.